Recently Goofy Faces ventured across the border into Windsor, Canada to help out at Windsor Regional Hospital’s annual fund-raiser called Hats on for Healthcare. This event raises money for different local, healthcare-related needs in the Windsor-Essex region of Ontario, Canada. 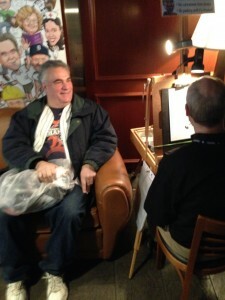 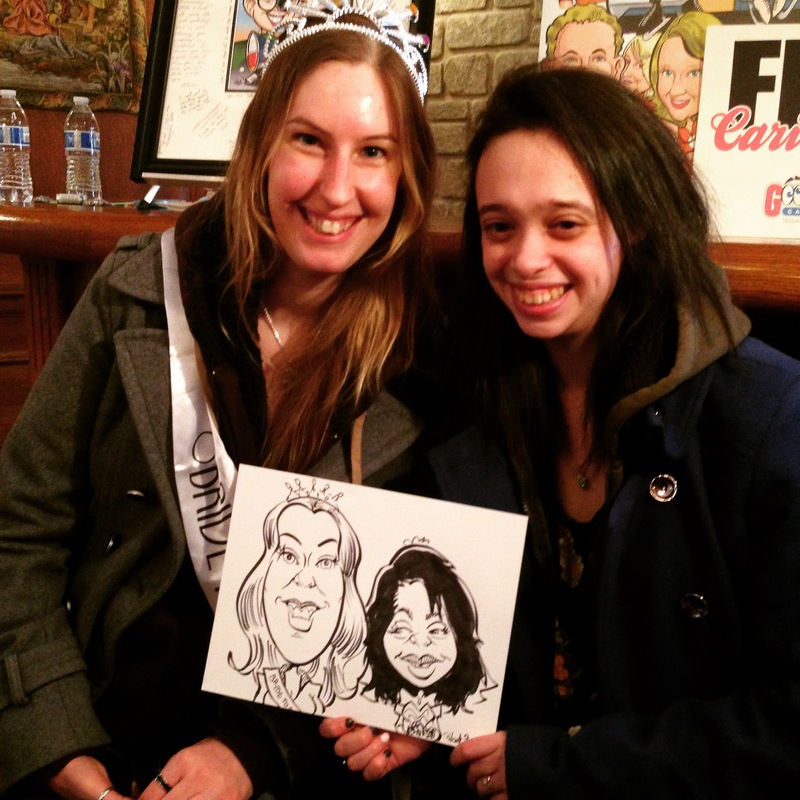 This was the second time that Goofy Faces was hired to draw caricatures at this event on February 11th. 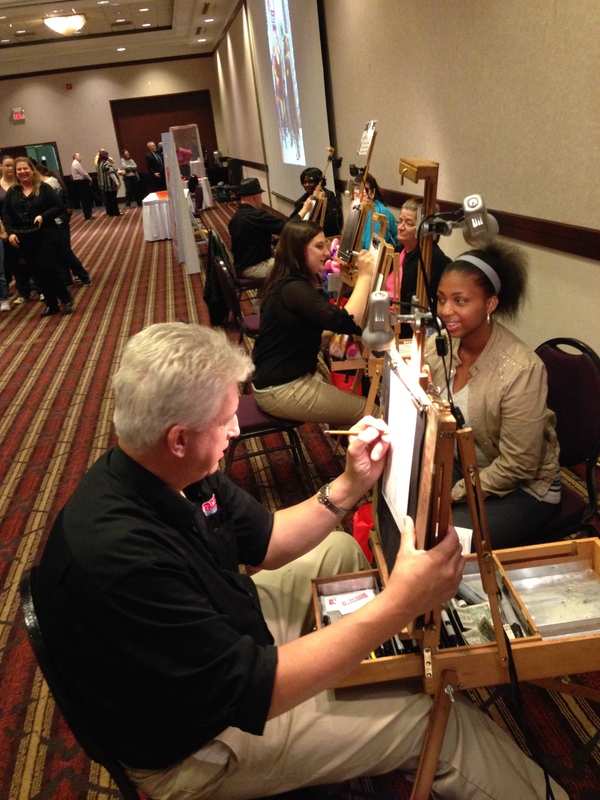 January and February are popular months for Bridal Shows. 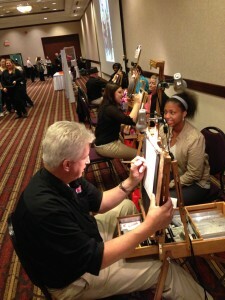 It’s a great opportunity for brides and grooms to see what’s available out there to enhance their wedding. 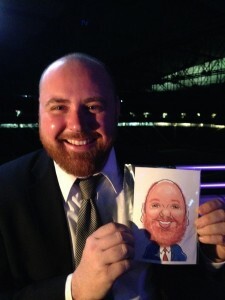 They can see different venues and vendors while getting new ideas on how to make their special day more unique. 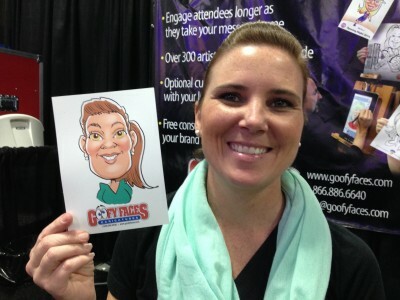 Goofy Faces is a vendor at several bridal shows throughout January and February. 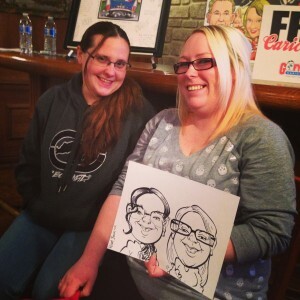 Below are some photos from the show that took place at King’s Court Castle at Canterbury Village in Lake Orion presented by Here Comes the Bride Bridal Shows. Next Sunday, February 8th, come join us at The Inn at St. John’s in Plymouth, MI for another bridal show presented by Whimsical Occasions. 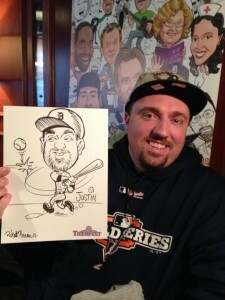 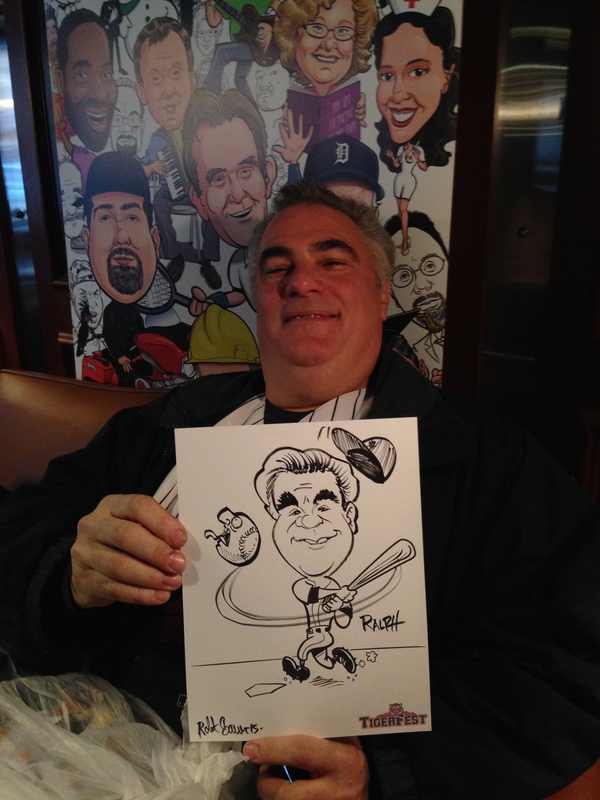 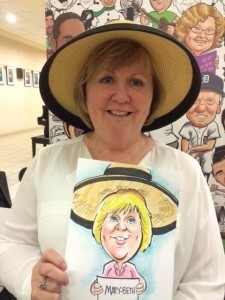 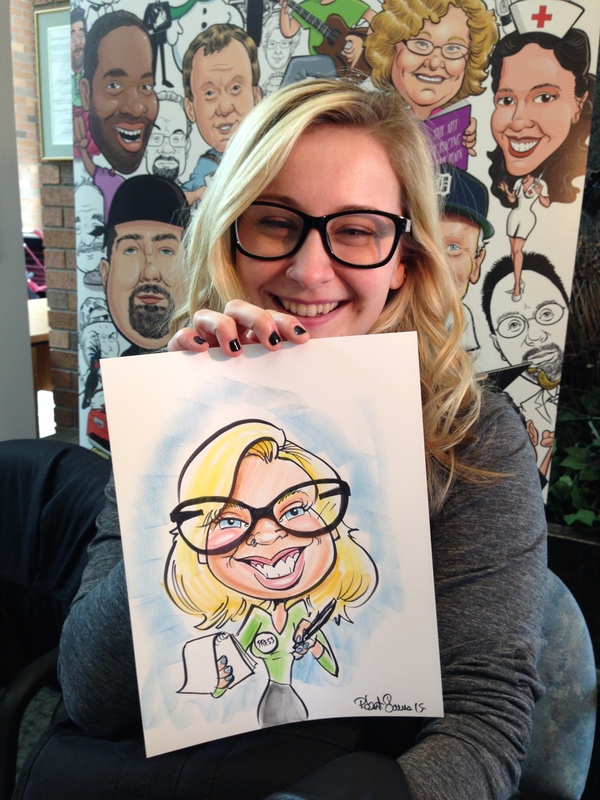 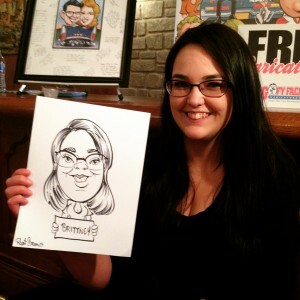 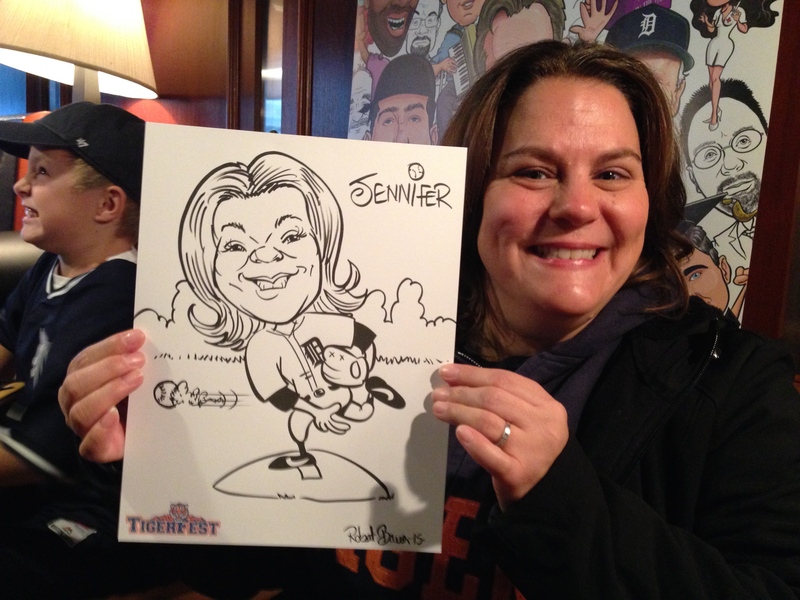 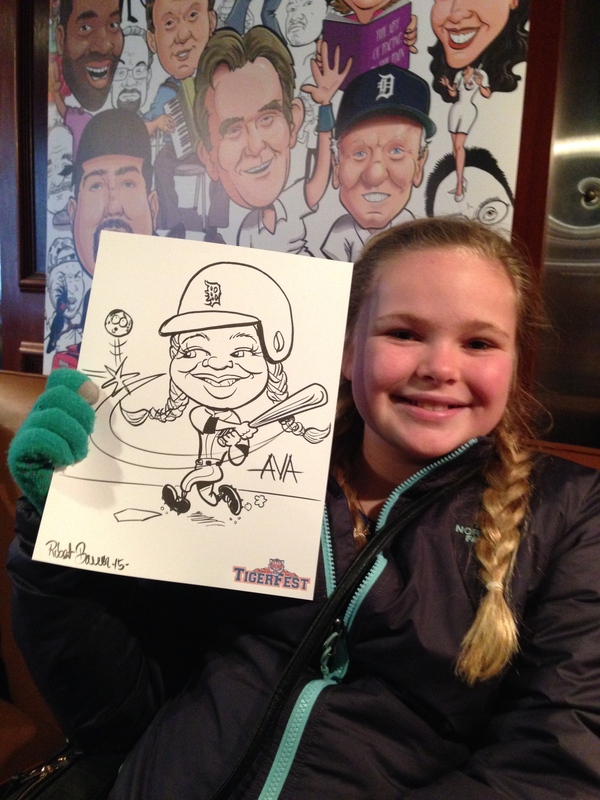 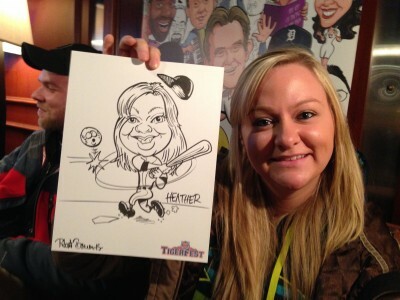 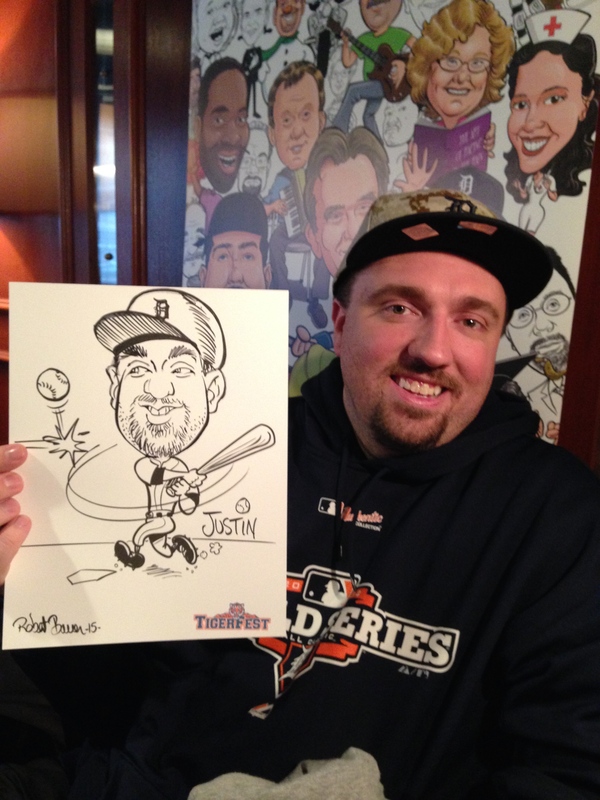 We will be draw free caricatures from 1PM-4PM so stop on by! Q: What's the difference between a cartoon & a caricature? 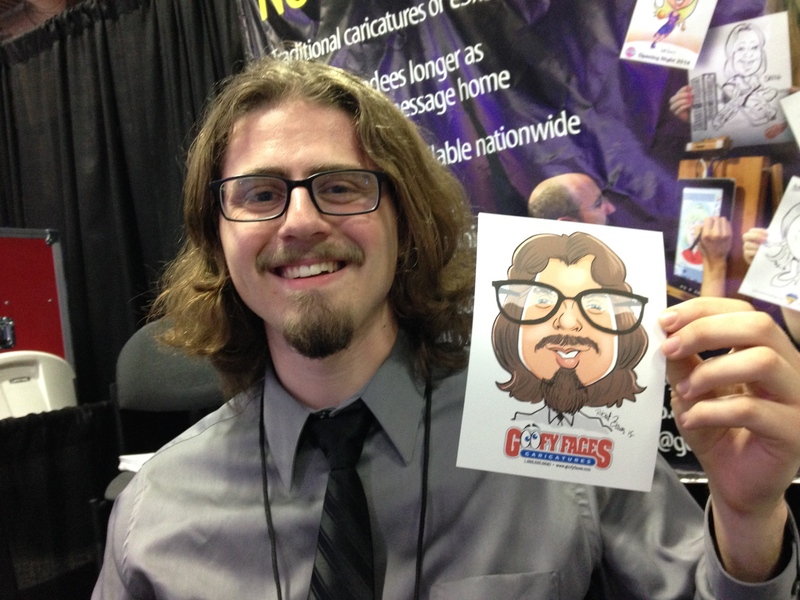 Q: What defines a caricature vs. a cartoon, or is it one of those things that all caricatures are cartoons, but not vice versa? What actually makes a caricature!? 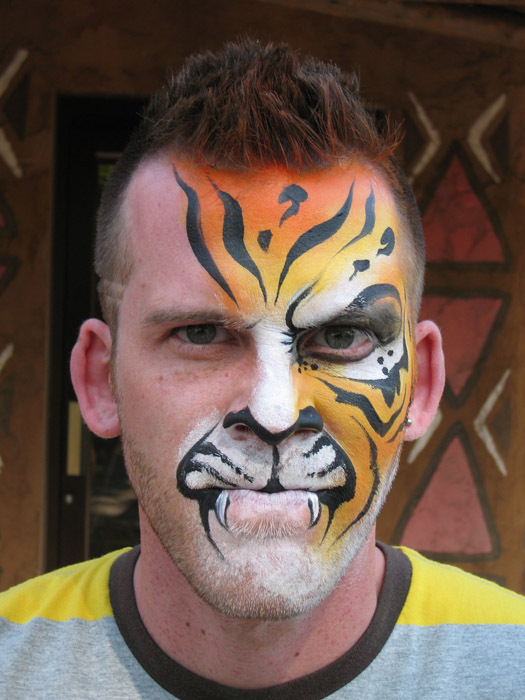 A: Many people lump them together including many artists. 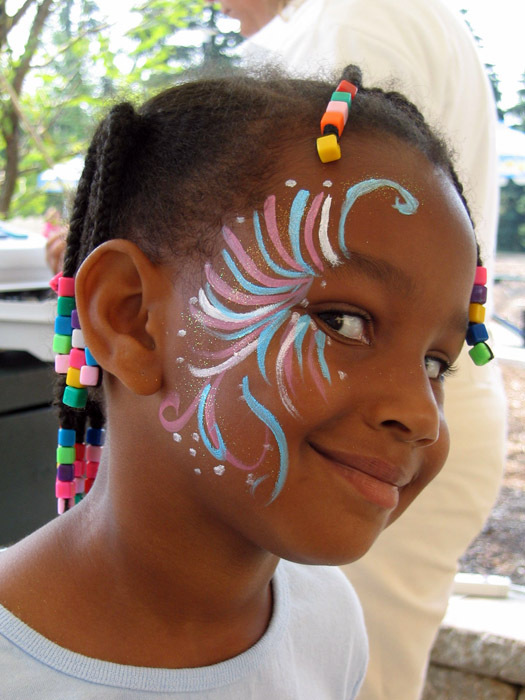 They are very similar and interchangeable in some cases but there are distinct differences between the two. 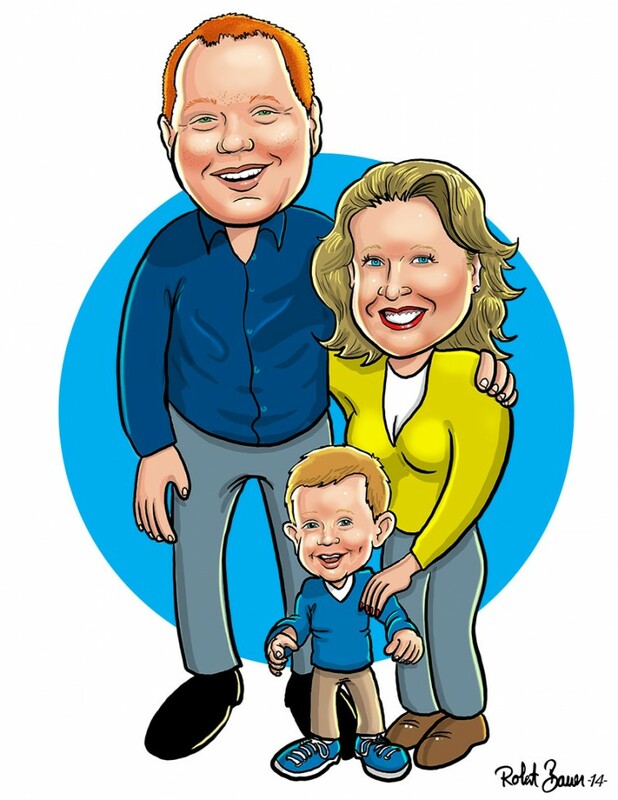 A cartoon is a simplified illustration that has a quick, whimsical style to it. 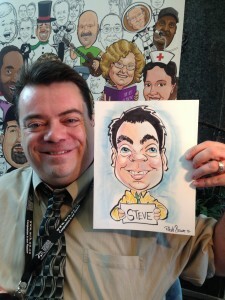 Anything can be drawn as a cartoon whether it’s a person, animal or scenery. 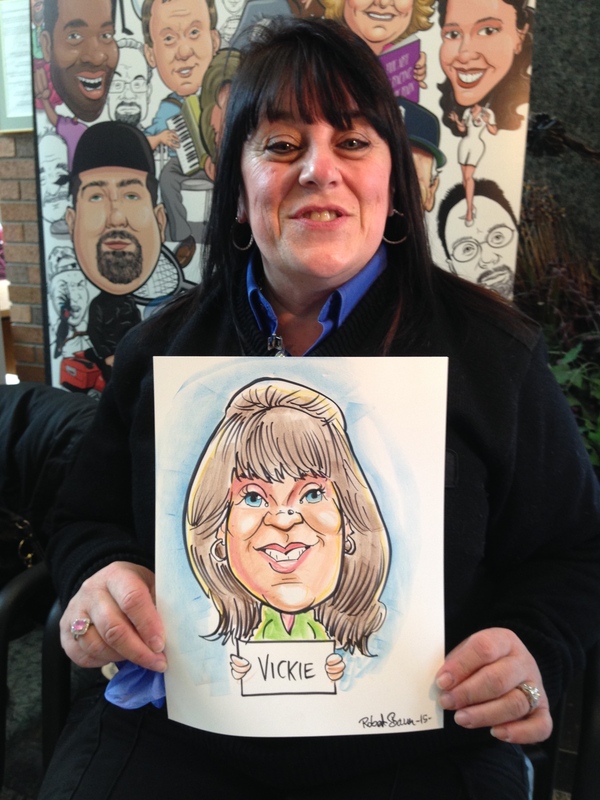 A caricature is specifically an illustration of a person drawn in an exaggerated style to play up their distinctive features. 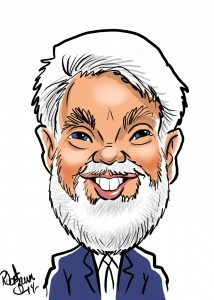 Some may argue that an animal or even a car or a house can be drawn as a caricature. 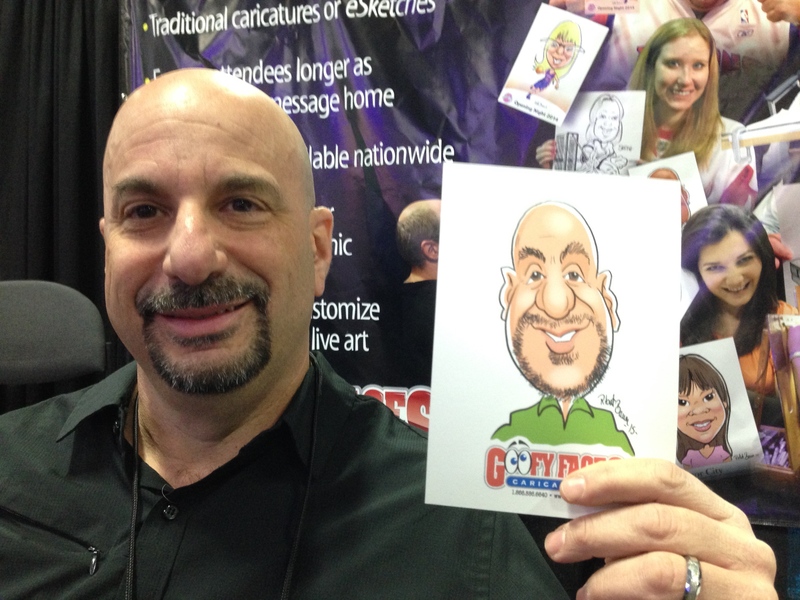 But unless you have an original point of reference or know the animal, house or car in question, it’s hard to call it a caricature. When you see a famous face as a caricature and recognize it even without a photo to compare it with, that is a successful caricature. 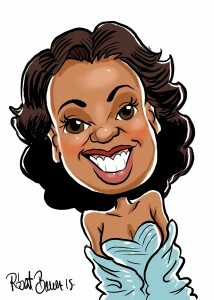 The term, caricature, itself has grown to embody the definition of exaggerated and two-dimensional. 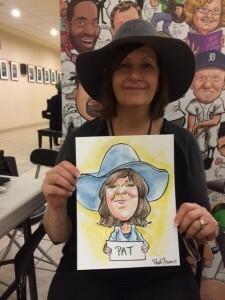 “Jack Nicholson now acts like a caricature of himself” is an example of how the word has morphed to mean anything that is over-the-top exaggerated. Although many caricatures are drawn in a cartoon style, many can be very detailed or painted in a serious fashion. Below are two samples of caricatures of me which demonstrate a very cartoon style drawing vs. a more rendered approach. 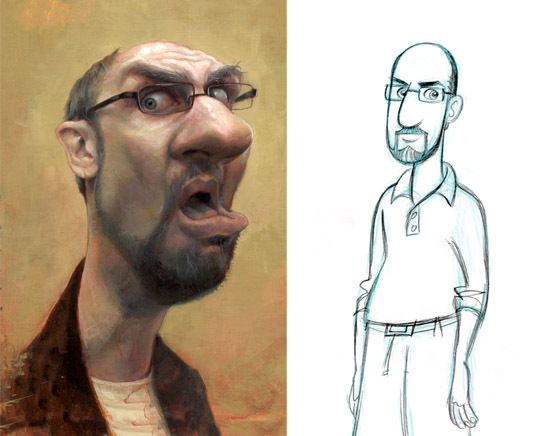 The detailed painting on the left of me by illustrator, Jason Seiler, is a good example of a caricature that is not a cartoon style while the sketch of me on the right, drawn by character designer, Steve Silver, can easily be considered a cartoon style drawing. But in both cases they are considered to be caricatures. 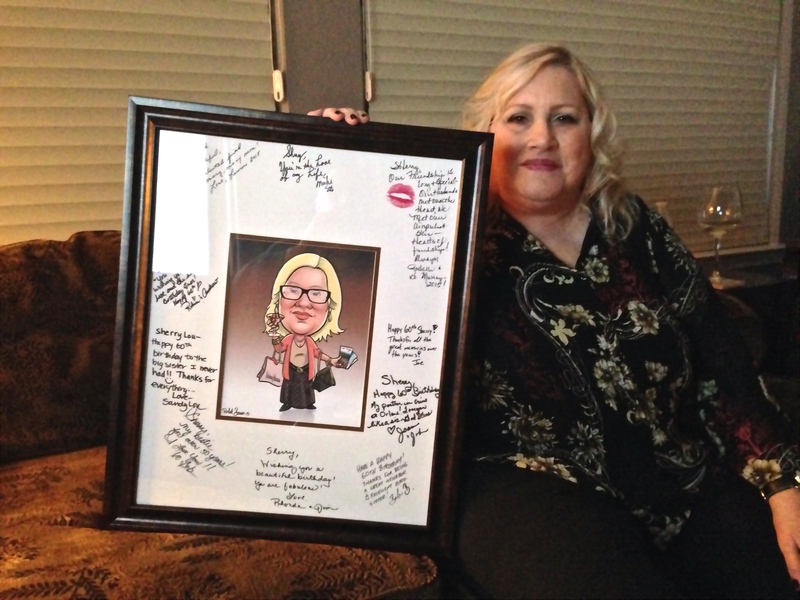 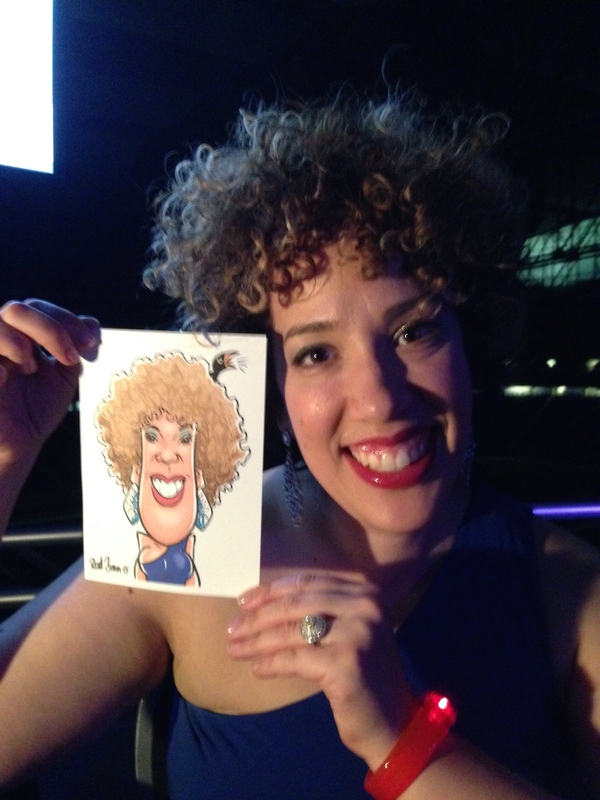 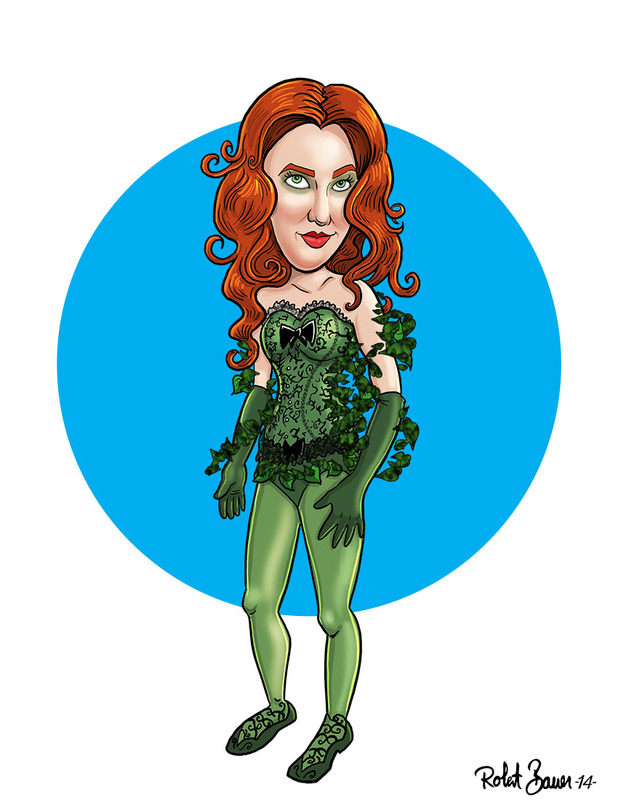 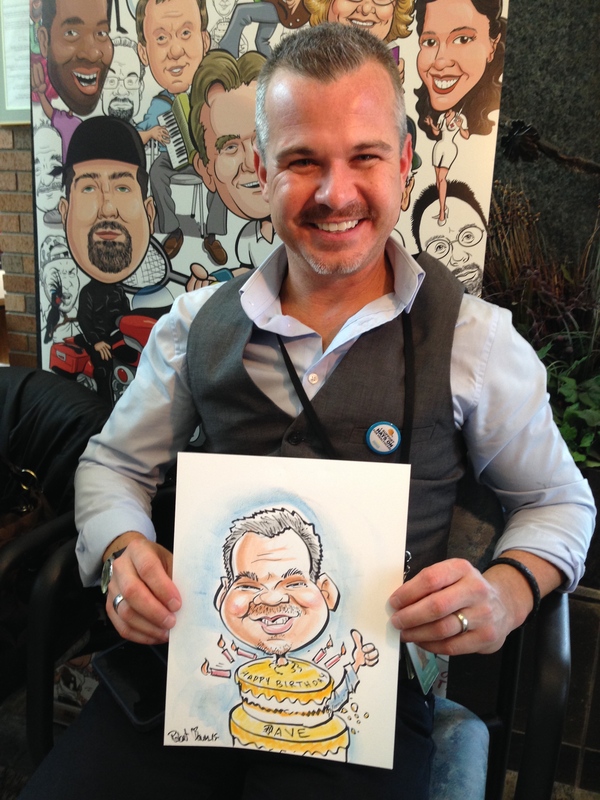 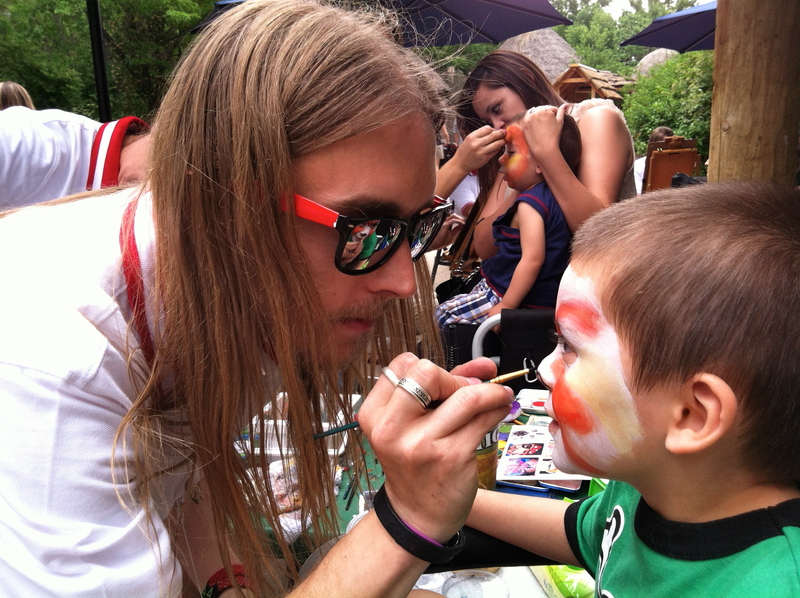 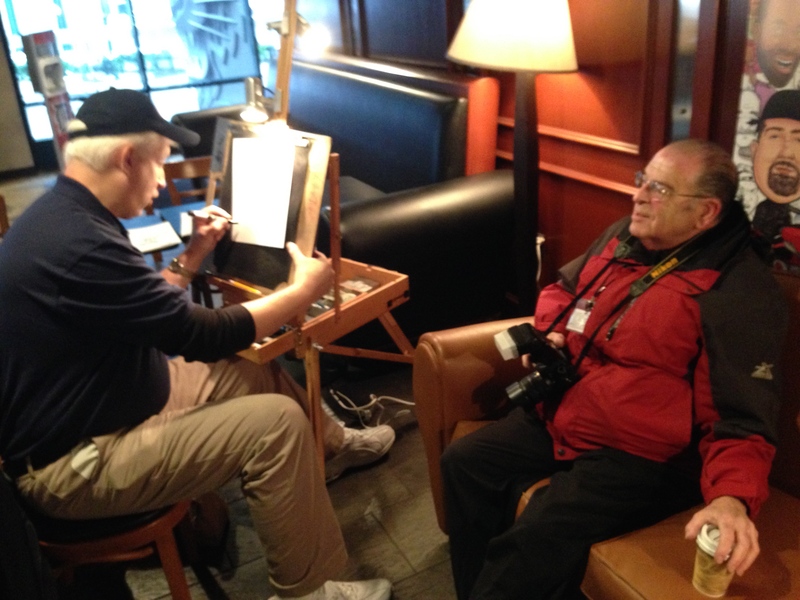 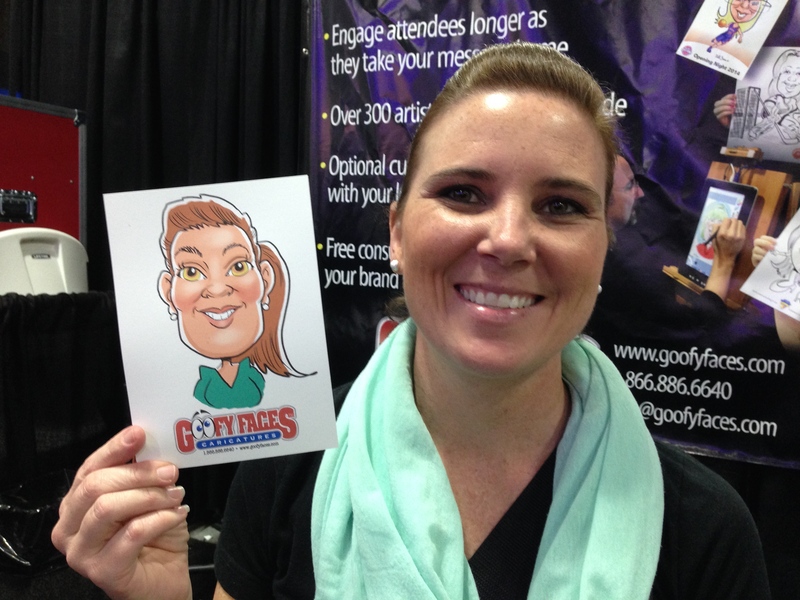 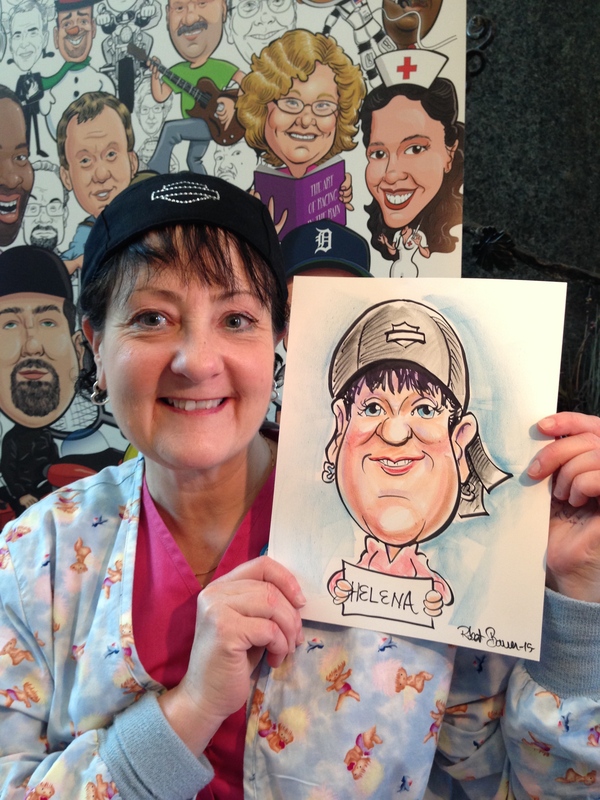 Q: How do I figure our how many caricature artists or hours I need for my party? 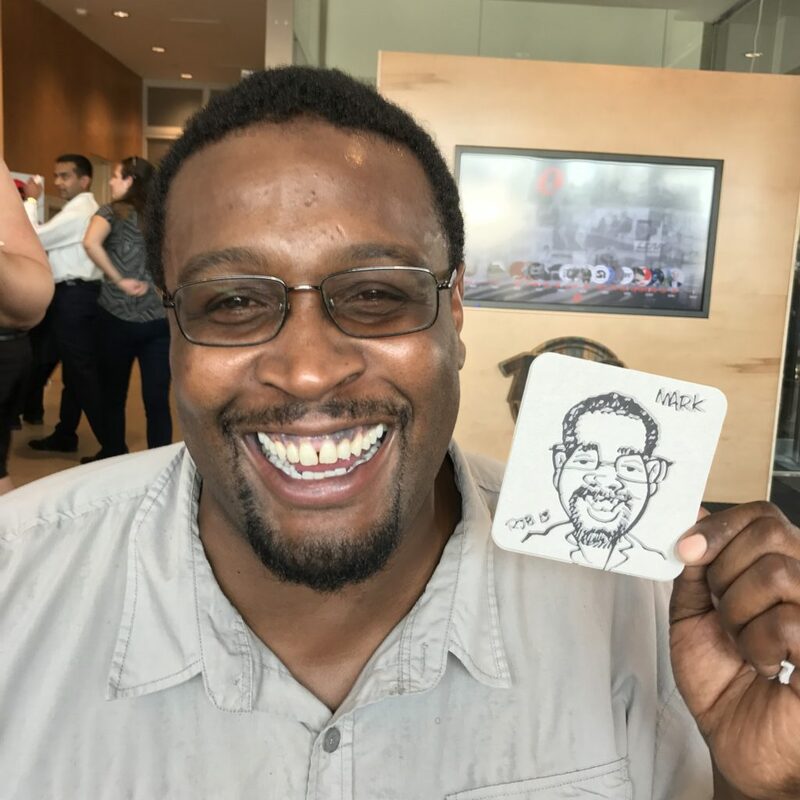 Q: I am planning my wedding reception for the summer and love the idea of adding Goofy Faces to the reception for our guests to enjoy! We expect 300 guests. 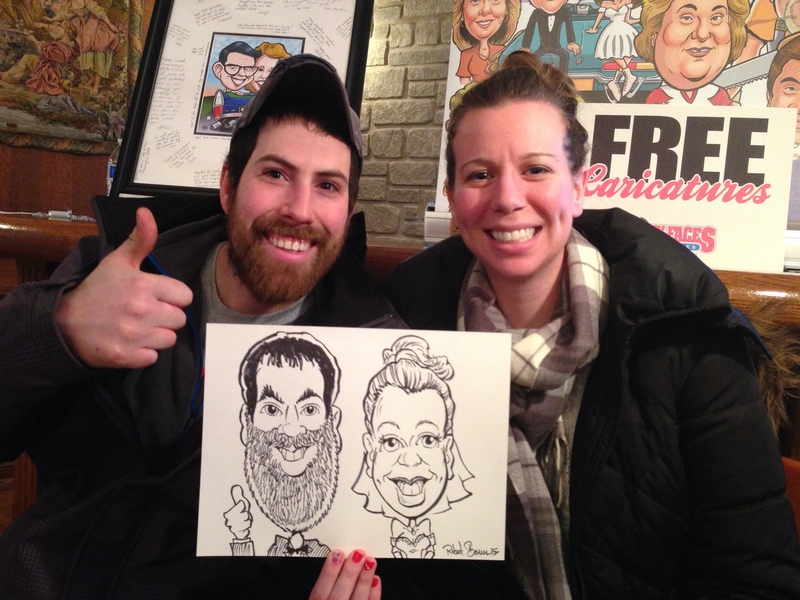 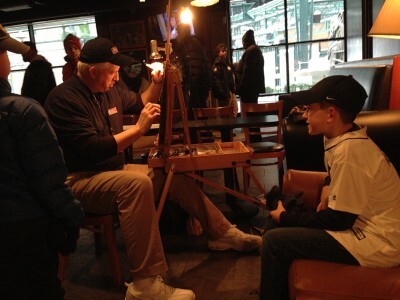 How many hours and/or caricature artists should we book? 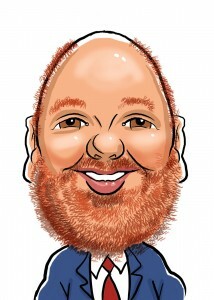 A: Many of our clients and customers ask this question. 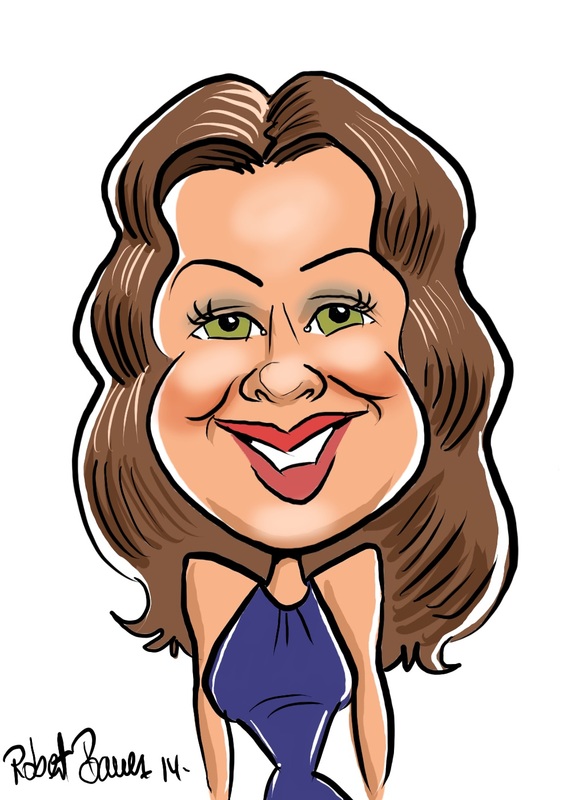 Here is what we do to figure that out; First of all, unless it is a very intimate party with 30 guests or less, it is unlikely that everyone will have enough time to be dawn. 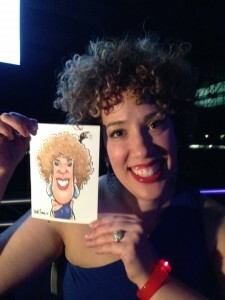 But that’s ok. Not everyone wants a caricature. 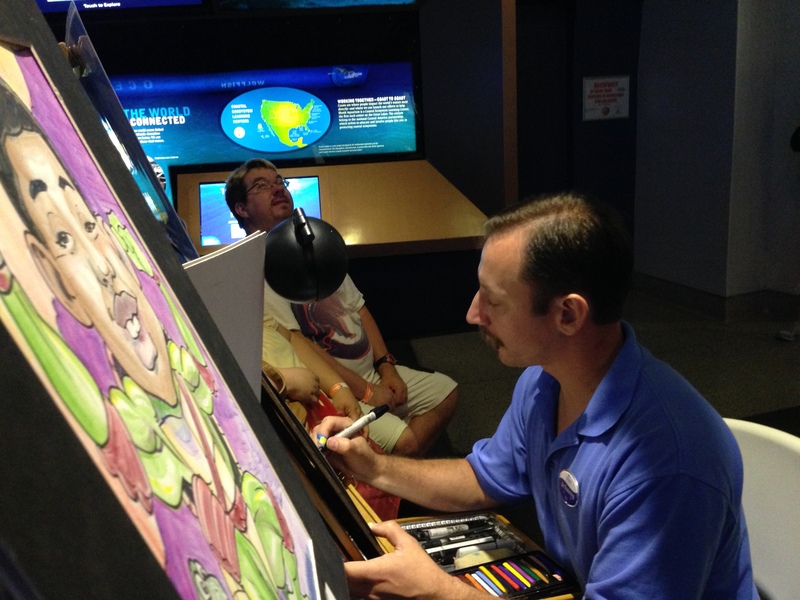 But everyone gets to enjoy watching our artists draw all your guests. 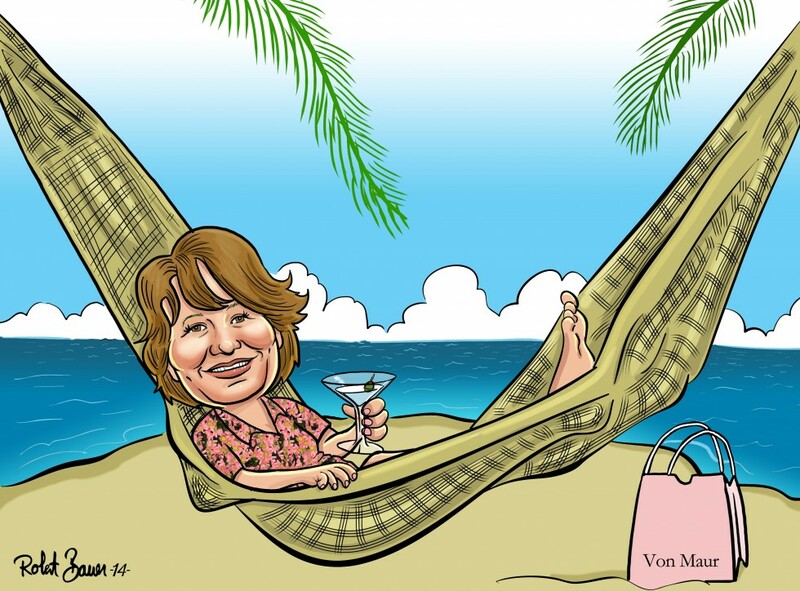 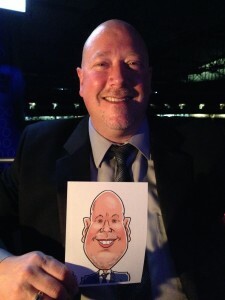 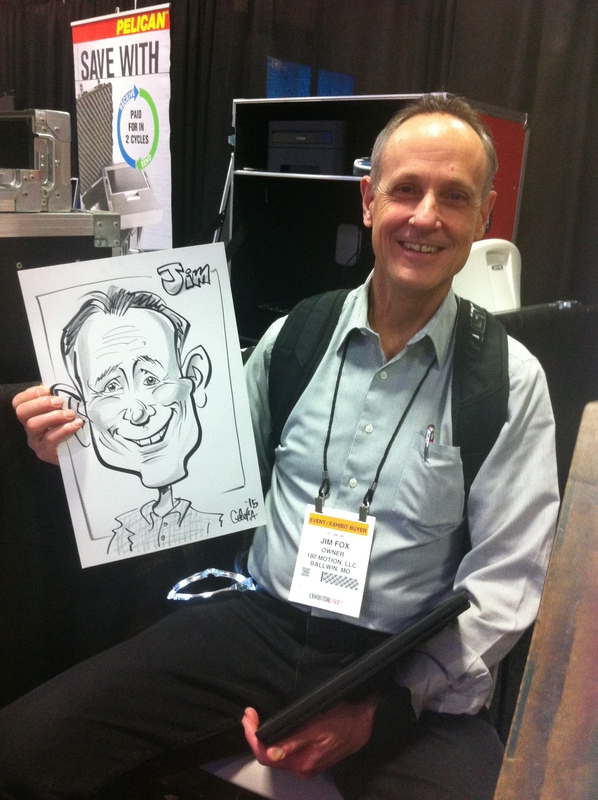 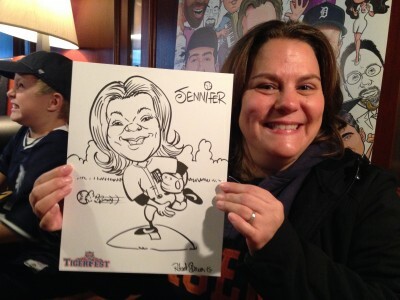 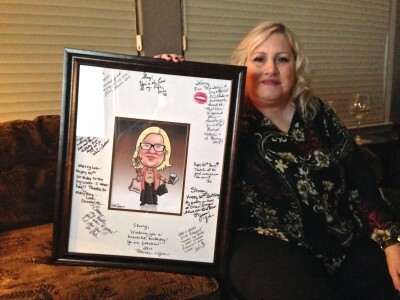 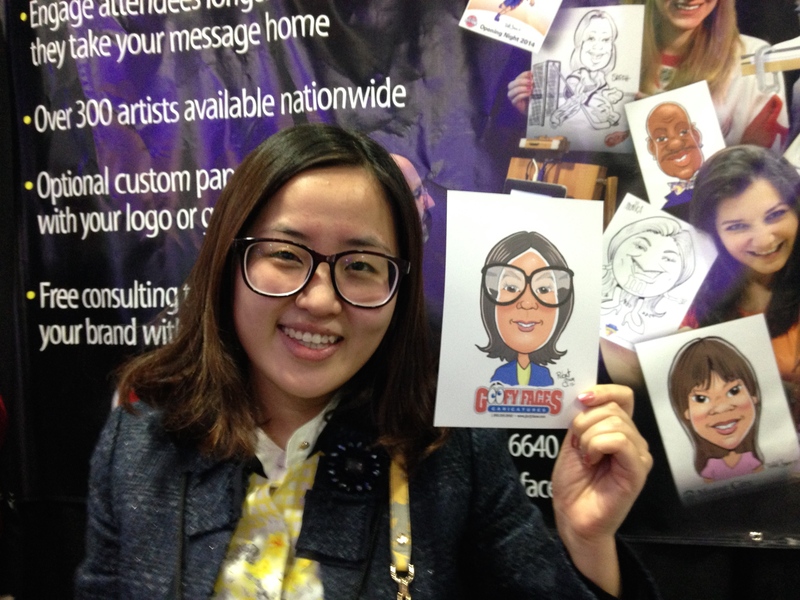 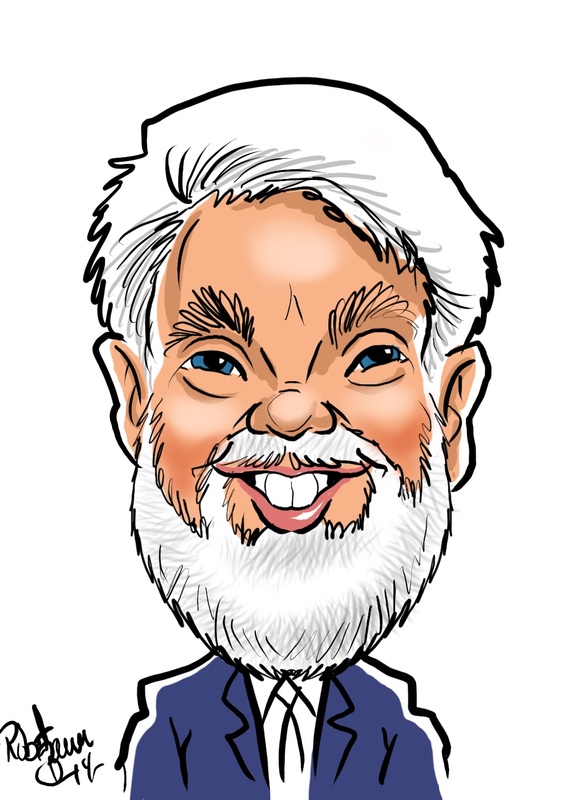 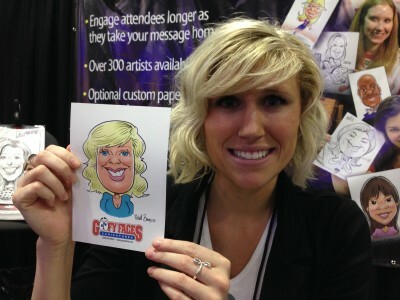 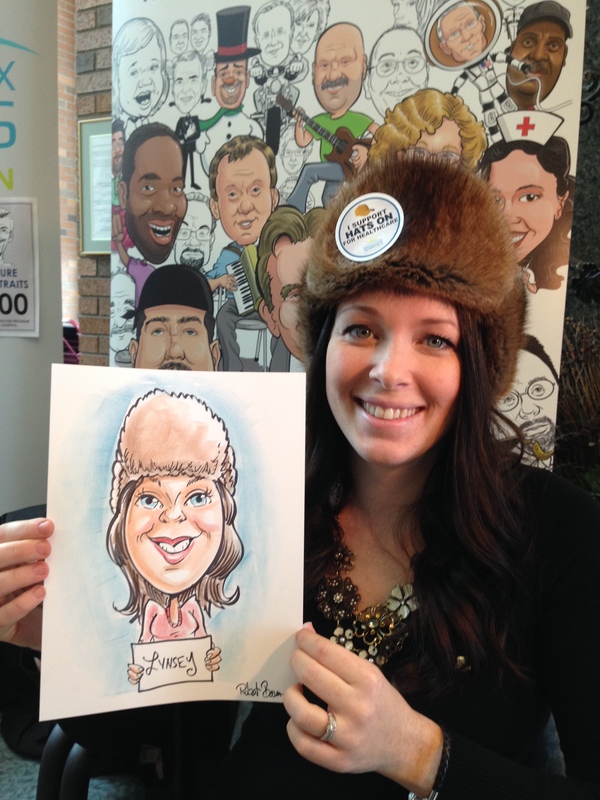 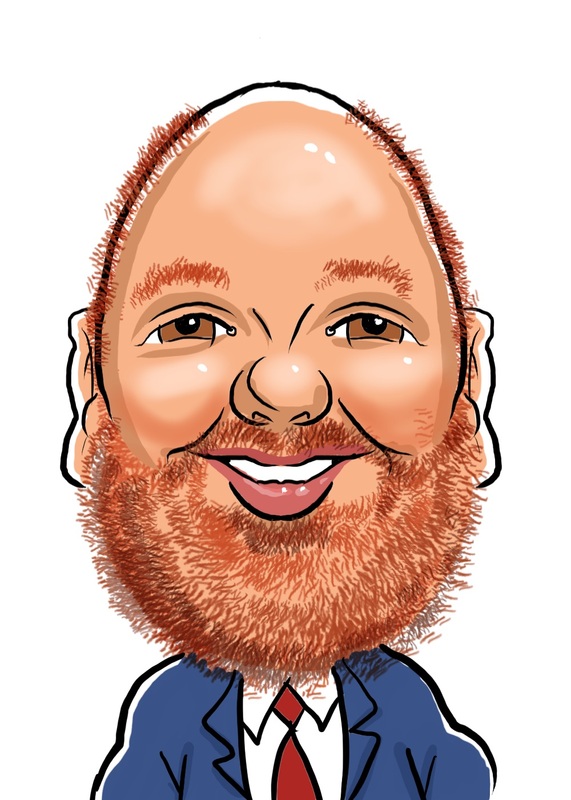 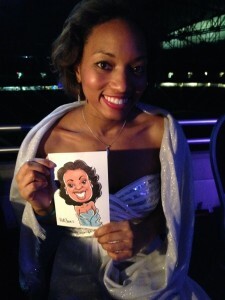 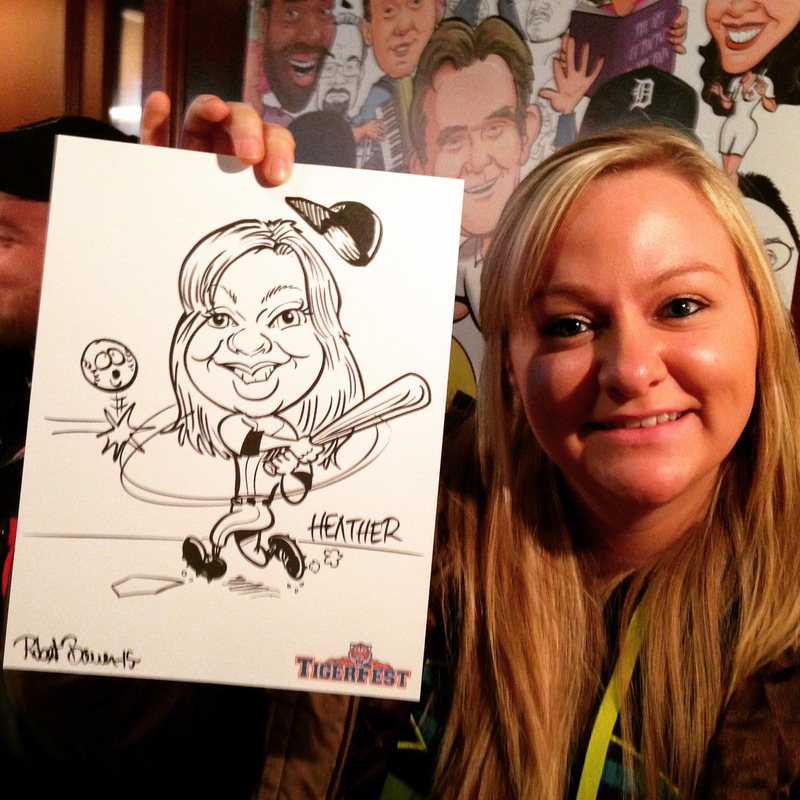 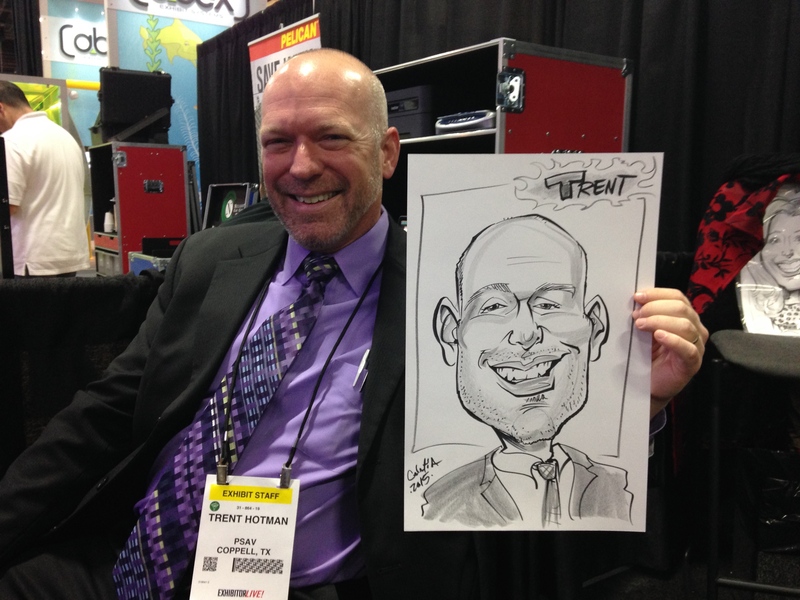 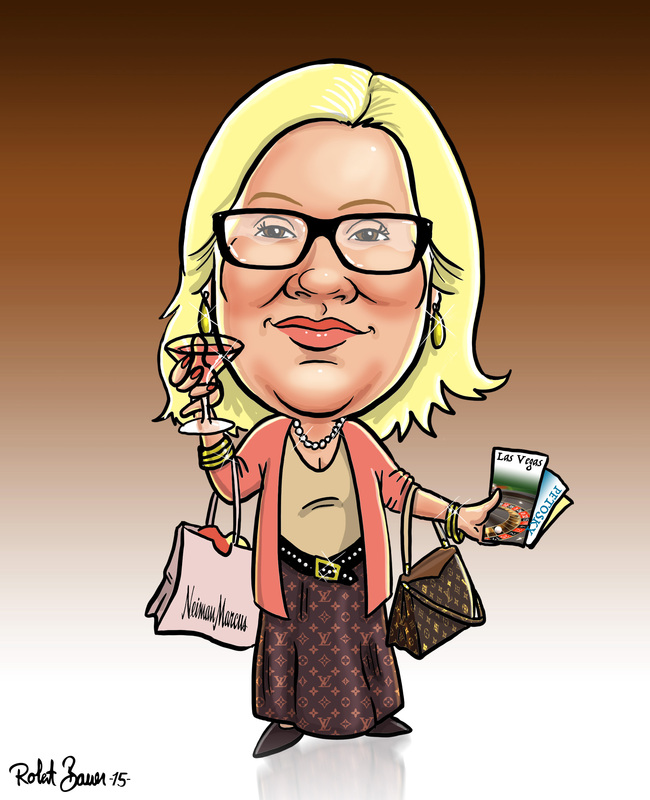 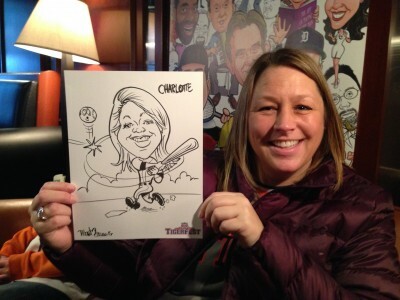 Therefore aim to provide caricatures to about 60% of your guests. 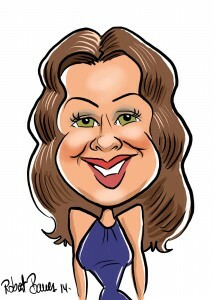 So, for instance, if you have 300 guests, plan for 180 of them to be dawn. 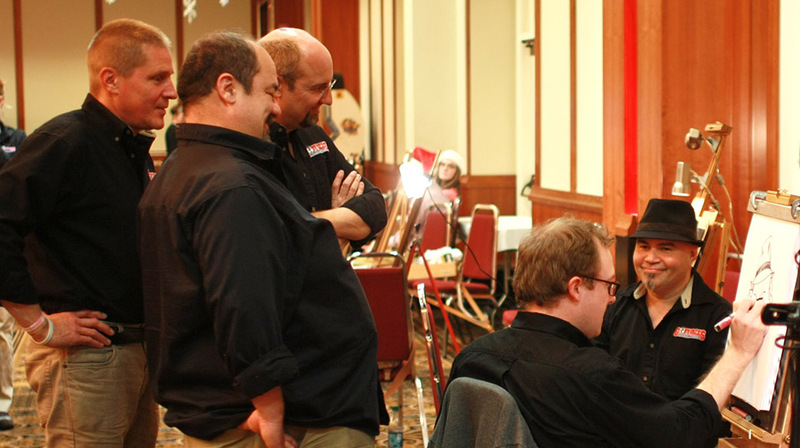 Next, how many hours do you have to work with? 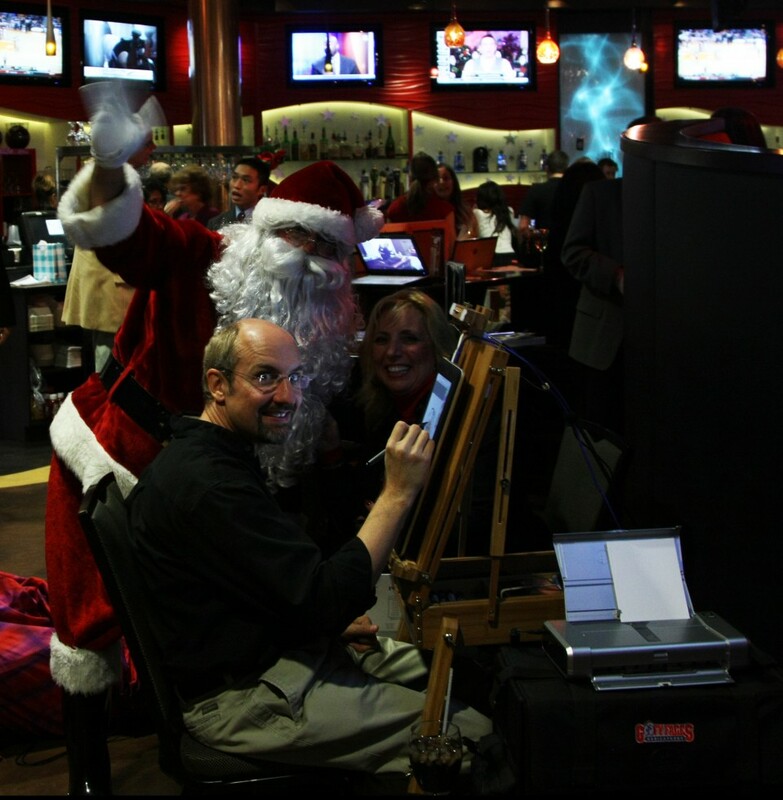 Most receptions tend to have 3 to 4 hours available for the artists to entertain guests. 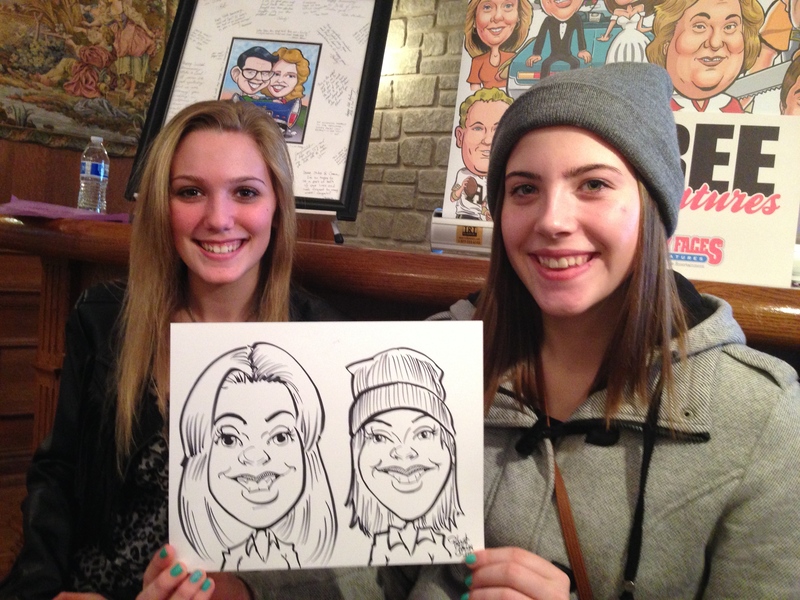 Most caricature artists average around 10 to 15 faces in B&W per hour (or half of that in color). 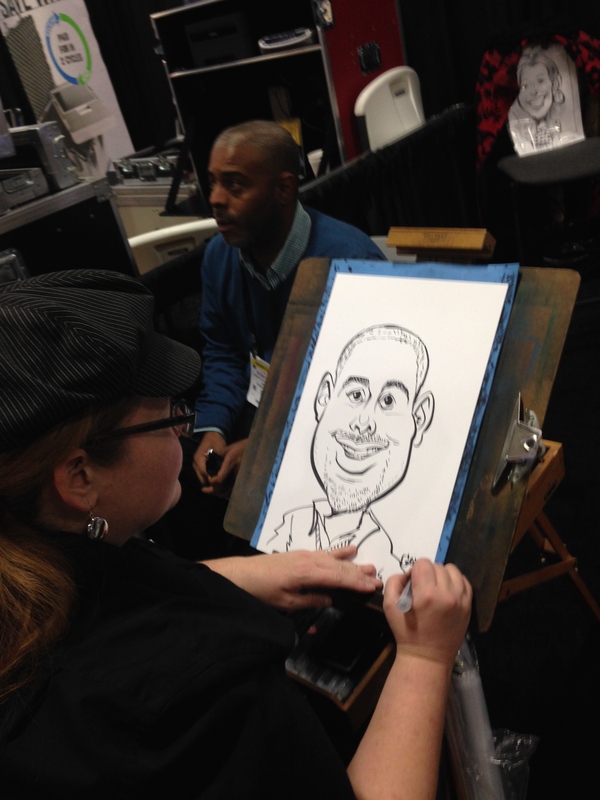 It doesn’t matter whether your guests are drawn individually or as couples. 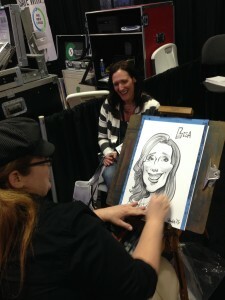 The artist draws faces, so a couple counts as 2. Therefore, each artist is worth about 45 faces in 3 hours or 60 faces in 4 hours. 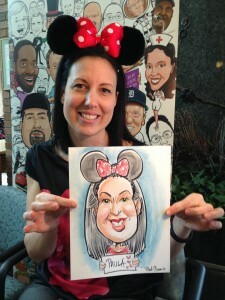 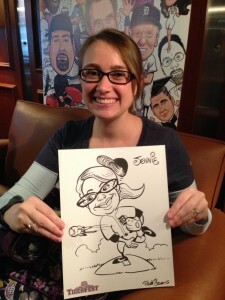 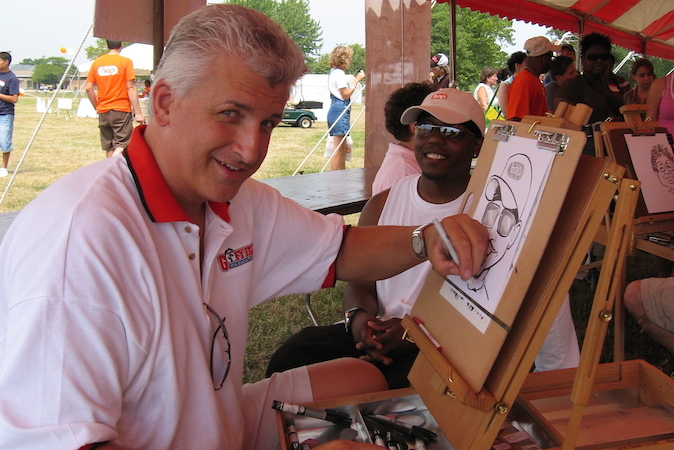 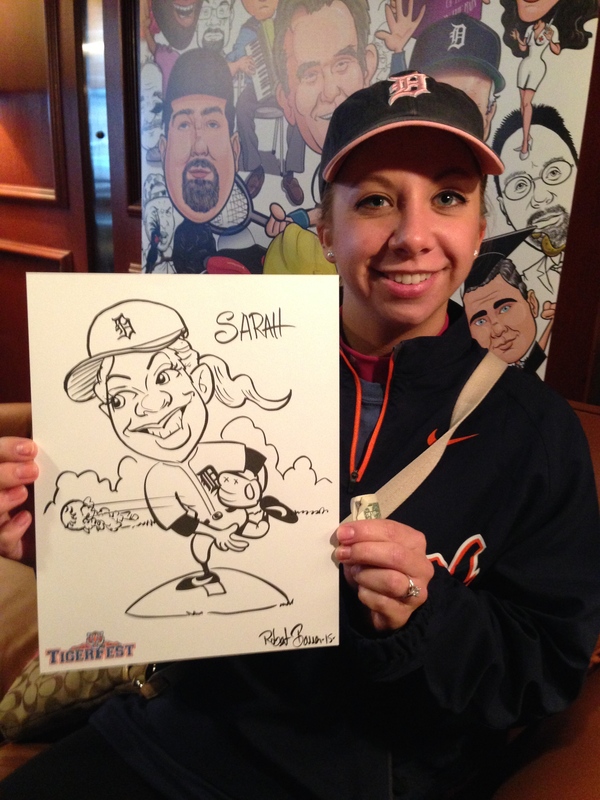 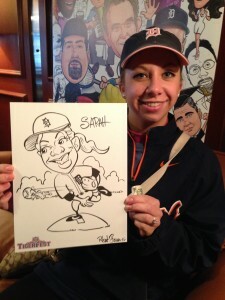 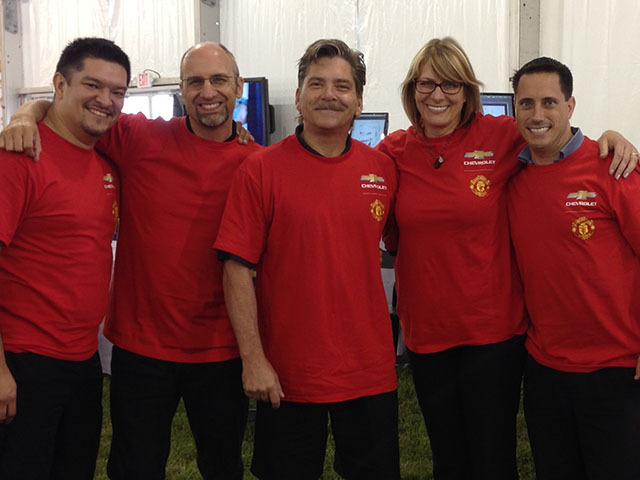 To reach your goal of 180 caricatures for your guests, we suggest hiring 3 artists for 4 hours or 4 artists for 3 hours. 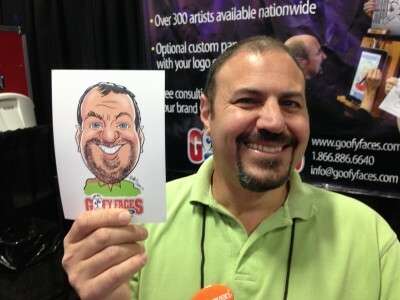 The total price would be the same in either scenario since we book each artist by the hour. 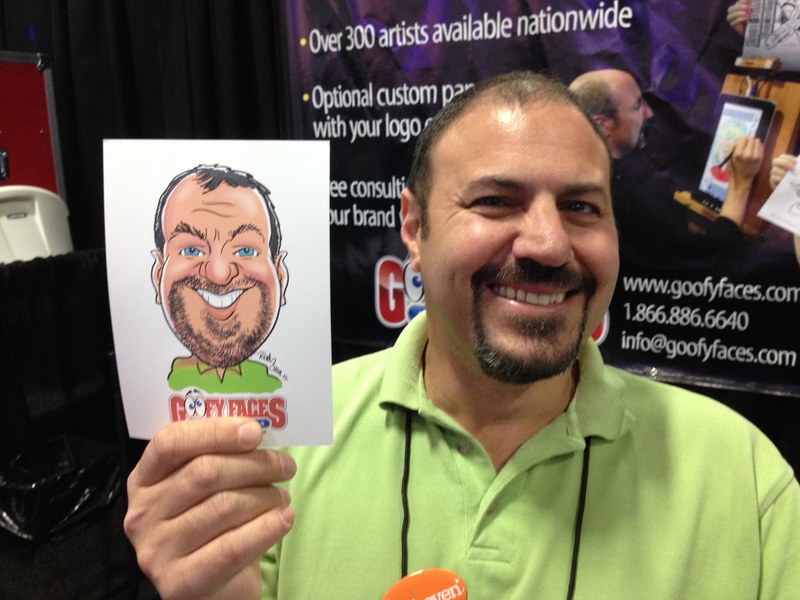 Rates vary per artist so make sure to research your choice of artists in our online directory. 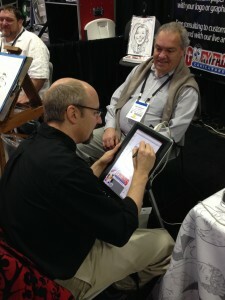 We also have an online artist calculator you can use to figure out how many artists you need as well.